Digital Kitchen scales simplify your measuring chore and help you stay fit and healthy by eating proportionally. Yet most of the kitchens deny from using a better digital scale as they trust their instincts which mostly end up being wrong. There are mechanical and digital scales. The health buff people can be really benefitted from the digital scale as the food products can be appropriately measured. As its digital its ok if you don’t even remember the numbers and stuff, therefore, the measuring becomes faster and convenient. Digital scales are more precise and accurate than their mechanical counterparts. A digital scale comes with 2 years of the warranty period and should not be obstructed by the weight container. You should also opt for scales which have big buttons that are flush with the scale’s body so that it becomes easier to clean and maintain. Also, the weight of the container should be subtracted for a precise result. The best part is the measurement switch and the auto shut off which makes it more helpful. Most of the brands have received positive views, some critics, some are favorite of the consumers and some are the Best picks. Some scales are expensive but have express features but failed on the aspect of the ease of storage, as the scale was deemed to be bulky and rather large. After knowing and comparing other brands we came up with a conclusion that 1byOne serves as the best digital scale. Compactness and ease of storage is an important feature. The ideal shape is thin appearance having the wide platform which takes less space and yet accommodates almost all the utensils like a plate, containers, and pans. Mothers need precision while baking a cake or a cookie as everything has to be present in a proper quantity. 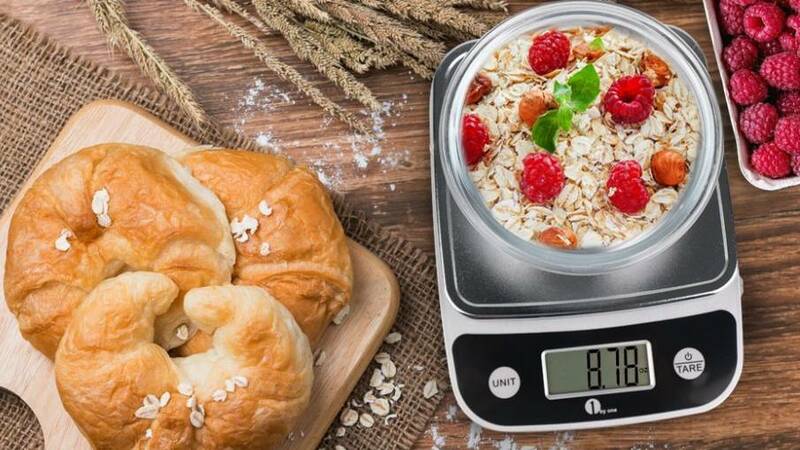 With the help of a digital scale, they are able to make perfect recipes. Measuring the cooking elements in proper quantity and packing them instead of buying the more expensive prepackaged snack packs, use a digital kitchen scale to portion out snacks for the week into baggies or small containers. Our precision digital scale makes it possible to measure every chip or nut in the weighing pan. Mom controls and knows about the calorie and carb intake with the help of the digital scale which helps her maintain a healthy family. These are the major reasons why you require a Digital scale in the house and keep your diet up to date. So buy the best digital scale available on Amazon right now.